1. A bobblehead of yourself to keep on your desk, because who better to inspire you to work harder than YOU!? 2. A bar bracelet you can personalize with something meaningful, like the coordinates of the street your grew up on, your anniversary, or a quote you love. Get it from Amazon for $19.50 (available in three styles). 3. Or a similar necklace, in case you type all day at work or school and hate the way bracelets get in your way. Get it from Amazon for $51.80. 4. A customized cross stitch featuring a tweet from your favorite celebrity, perfect for making you smile on any given day. Get it from nicmarboss on Etsy for $29+ (available in two styles). 5. A self-inking stamp with your name and address, so you'll never have to waste time hand writing return addresses on any envelope ever again. Get it from Amazon for $33.99+ (available in sizes M–XL). 6. 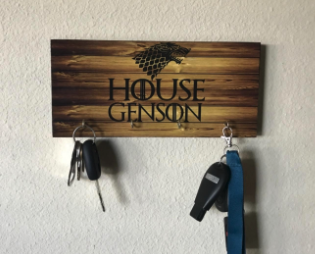 A Game of Thrones key hanger that'll display your "House" name and prevent you from losing your keys... again. Get it from Amazon for $32.99+ (available in three sizes and seven styles). 7. And a customized leather keychain, so you and your S.O. won't get mixed up trying to figure out whose keys are whose. Get it from Amazon for $13.95+ (available in six styles). 8. Toiletries customized for you based on a simple quiz, a super easy way to upgrade your self-care routine. My husband used the quiz to order customized soap, body wash, and deodorant from Hawthorne and is a huge fan! You can choose what kind of ingredients you'd like in each product, how scented you'd like them to be, and other specifications to make each shower feel like it was designed just for you. Get it from Hawthorne for $15+. 9. A birthstone bracelet that includes up to 10 stones, so you can include every important person in your life in one piece of jewelry. 10. A cozy pullover your roomie won't be able to steal from you because it includes your monogram. Get it from Amazon for $32.99 (available in unisex sizes S–2XL and in 13 colors). 11. 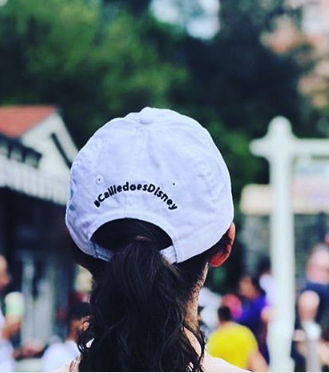 A custom map you'll love because it'll remind you of your favorite place on the planet — whether it's where you went to college, Disneyland, or your childhood home. So sweet. Get it from Grafomap for $49+ (available in two sizes, nine styles, and on paper, canvas, or in a frame). 12. Stationery that is dripping with flowers to definitely put a ~spring~ in your step. Get a set of 10 from Amazon for $20.20+ (available in sets of 10–250 and 20 envelope colors). 13. A custom phone case featuring an illustration of your one true love: your pet! Truly a paw-fect gift to yourself. 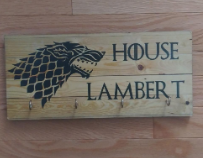 Get it from NorthLegends on Etsy for $38.64+ (available for 43 different phones and up to six pets). 14. 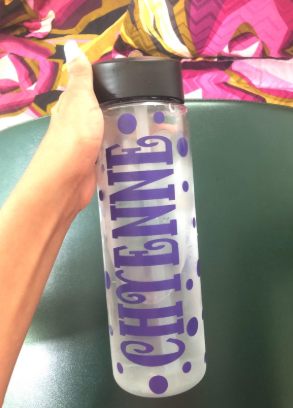 A water bottle with your name on it, so you'll finally have the motivation you need to stay hydrated all day. Get it from Amazon for $20 (available in 26 font styles and 27 vinyl colors). 15. Or a Starbucks tumbler that can be personalized with your name and Minnie Mouse, to pair flawlessly with your endless supply of iced coffee. Anyone who frequents the Disney Parks is familiar with the many Starbucks located around the property. The cups they use there are super cute and you can often have your name written (correctly!) with Minnie next to it. 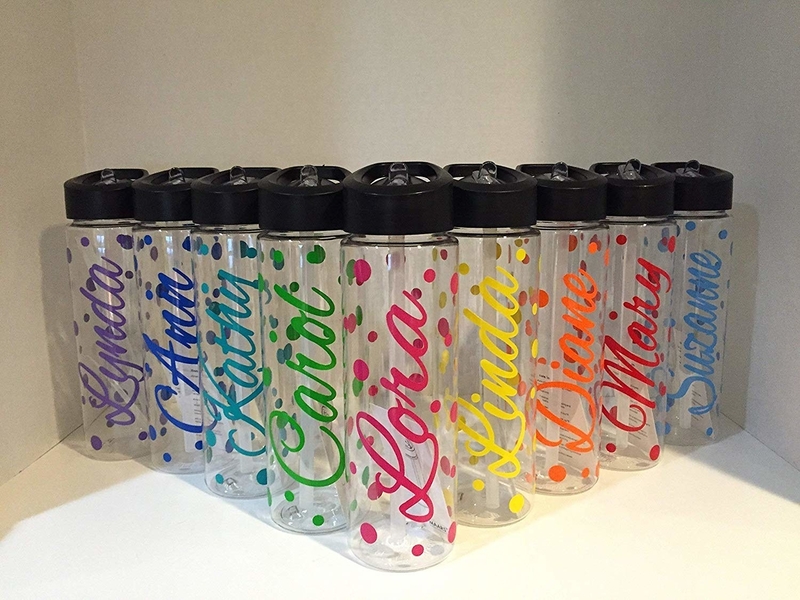 Carry that kind of magic around with you no matter where you are by purchasing this spectacular tumbler! Get it from TheLoveofPixieDust on Etsy for $16 (available in four styles). 16. A custom voodoo doll you can use to release any ~bad vibes~ you've been feeling... by cuddling it, of course. 17. 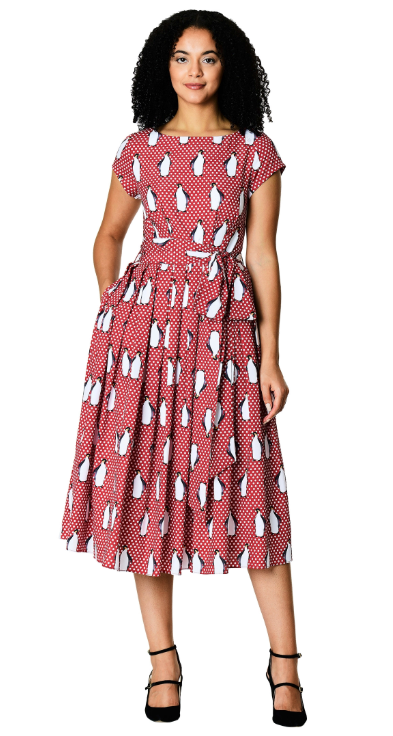 A completely customizable penguin print dress that'll make you feel like you've entered Mary Poppin's magical world. This dress is fabulous as is, but you can make it fit your specifications by altering it to a custom size, neckline, sleeve type, and skirt length. Oh AND you can add pockets! This can be done to ANY dress on the site — freakin' incredible. My co-worker Abby has this dress and loves it! Here's what she had to say about it: "This dress is practically perfect in every way! The moment I saw it, I knew I had to add it to my wardrobe. I has a little bit of whimsy yet still looks nice enough to wear to work and out with friends. Plus, I loved the customization options. 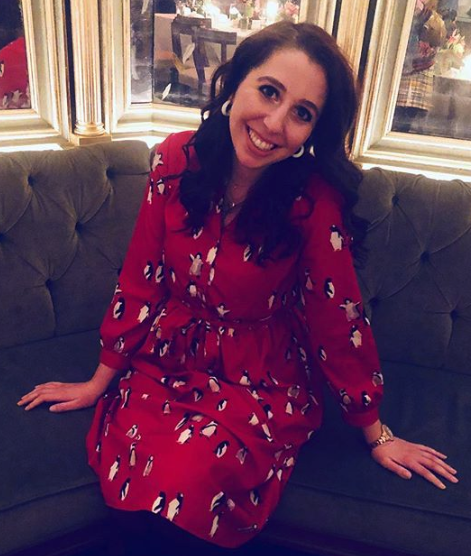 I didn't customize this dress specifically (it was already perfect), but I've gotten a couple other dresses from the site and changed the neckline and length to something I know I would like better. I love that you can see exactly what you're changing the style of the dress to and also make sure that you're getting the perfect size." Get it from eShakti for $84.95. 18. A quilt made of your most-loved T-shirts, so you can cherish them forever without taking up all the space in your dresser. I ordered one of these for myself for my birthday and it is one of my favorite possessions. Just imagine diving into a pile of your worn-in, super-soft T-shirts at the end of every day! Perfection. 19. A bracelet featuring the handwriting of the person you love most — could be S.O's, your grandma's, Dolly Parton's, whoever! All you need is a copy of your favorite person's handwriting to have this one-of-a-kind accessory made. This bracelet has the potential to be either really sweet or very funny — your choice. 20. A cutting board with your last name and anniversary date engraved into it, because there's no reason you can't continue to buy yourself things off your wedding registry that your guests didn't. Get it from Amazon for $29.77+ (available in two sizes). 21. A set of shampoo and conditioner, customized with a formula designed just for your hair — you can even choose to name the product, pick a fragrance, and select a specific color! Function of Beauty is just that — functional. It is designed to focus on your personal #hairgoals, such as hydrating your scalp, nourishing your roots, or making your locks shinier. Take the "Hair Quiz" and customize your beauty routine from start to finish. Get a shampoo and conditioner from Function of Beauty for $36+ (available in 8 or 16 oz, nine colors, and seven scents). 22. A badass ring featuring your birth year that you'll want to wear every day because it's just THAT cool. Get it from HappyWayJewlery on Etsy for $89+ (available in sizes 2–13.5 and in three styles). 23. 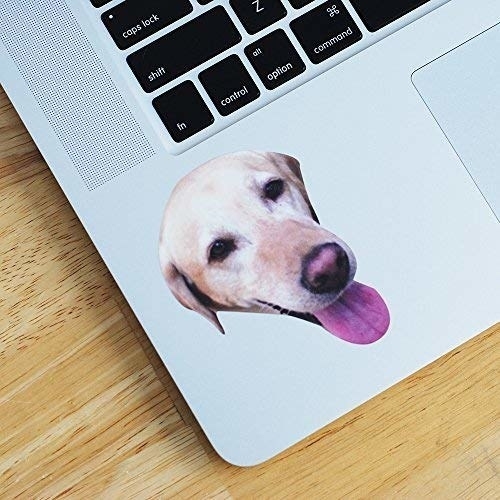 A sheet of custom stickers, so you can decorate your computer, binder, or water bottle with your pet's face, a fave celeb's, or whatever your heart desires. 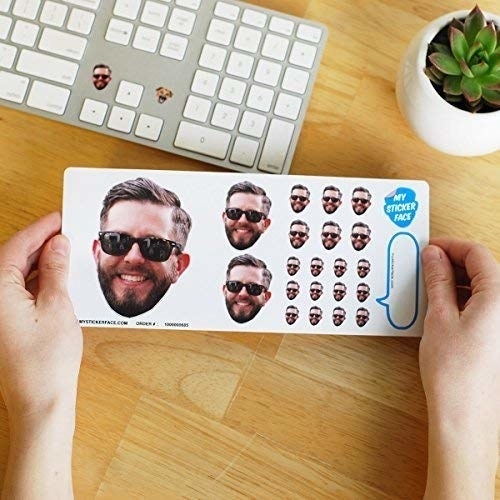 I bought these for my husband for Christmas (with his own face on them) so he could play jokes on his coworkers — they were a hit! 24. 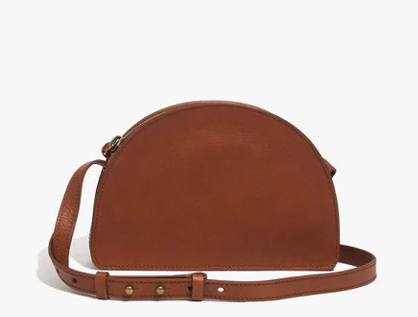 A half-moon cross-body bag that can be stamped with your initials for an original and chic detail. 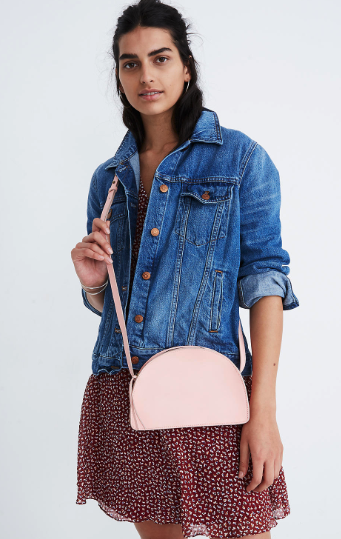 Get it from Madewell for $98 (available in four colors). 25. 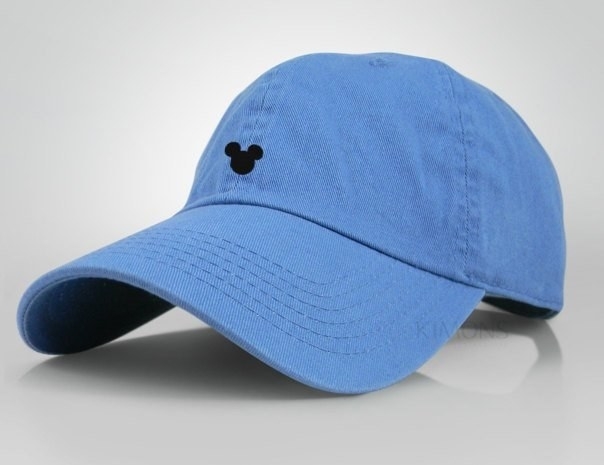 A customizable dad hat, to bring a touch of Disney magic to your style. 26. Personalized LEGO art, so you can live out your childhood dreams of being transformed into your favorite toy while decorating your bedroom at the same time. Get it from Firebox for $45.99+ (available with 1–4 LEGO figures). 27. A glamorous bangle you'll get tons of compliments on because you can have anything you want engraved on it. Get it from Amazon for $22.50 (available in three colors and three font styles). 28. A hand lettered quote of your choice on a beautiful print that'll look lovely in your bedroom, living room, or even bathroom! Get it from ADEprints on Etsy for $12 (available in 10 background colors and five lettering colors). 29. A delicate initial necklace, in case you're the kind of person who prefers simple jewelry you can wear every day. Get it from Amazon for $15.29 (available in three styles). 30. Or a paw-print replica necklace to remind you of your furry BFF every time you catch a glimpse of it in the mirror. Get it from MYMILLIEjewelry on Etsy for $37+ (available in three styles and 13 lengths). 31. A journal personalized with your name or an inspirational quote, a must-have for any aspiring writer. Get it from Amazon for $31.06+ (available in large or extra-large, in three font styles, and three leather colors). 32. And a squishy cushion–version of your face, because if you love yourself like Kanye loves Kanye you might as well let the world see with help from this pillow. You can also have it made with someone else's face in case, uh, you don't want a big pillow of your own. Do you deserve to treat yourself to all of the above? Want to keep looking? Check out our favorite online clothing stores for all your shopping needs, plus our favorite places to buy the best bathing suits online, or check out all of our beauty content for great stuff for your hair, skin, and more.